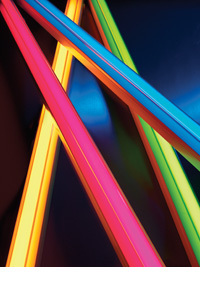 Get creative with fluorescent lighting! With over 250 colours to choose from LEE coloured Fluorescent Sleeves give your more choice than ever for both interior and exterior lighting projects. LEE also offer a range of glass dichroic filters that include less saturated tones suitable for architectural use. 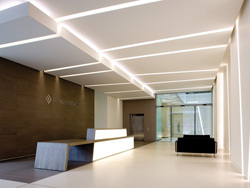 Modular has been playing a pioneering role in architectural lighting since 1980, and has set itself apart from competitors through its complex and persistent identity and drive for individuality. Modular has established itself as a byword in architectural circles.